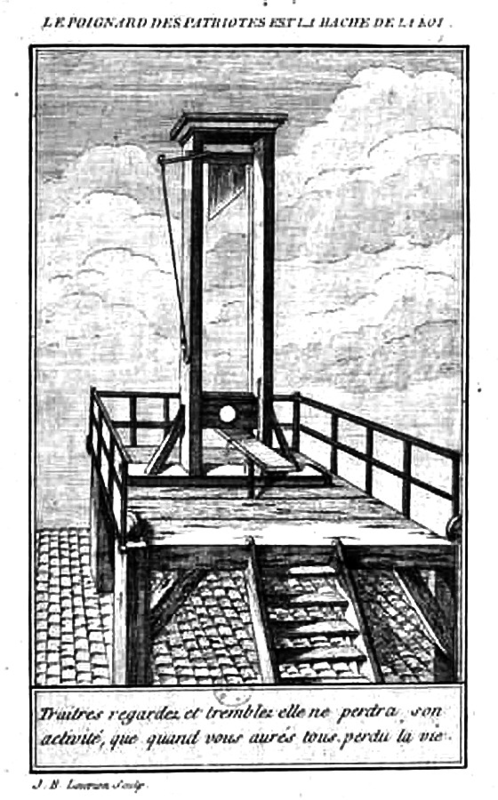 The execution of Robert-François Damiens. d submitted to a brutal gauntlet of ritual torture before a cheering crowd. His flesh was torn away with hot iron pincers. The knife with which he had stabbed the king was fused to his hand with molten sulfur. Then, the executioner chained each of Damiens’ limbs to a different horse and sent them running in different directions. Two hours later, when Damiens’ joints still hadn’t snapped, the executioner pulled out a sword and dismemberedDamiens himself before setting fire to the man’s still-living torso, reducing the failed assassin to ashes. 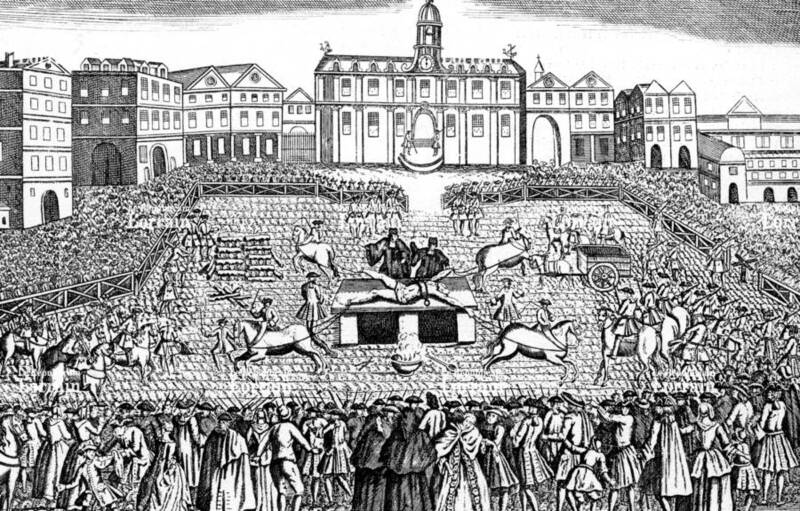 Nobles who committed serious crimes were beheaded, usually with a sword, as that was a cleaner and more effective cut than an axe. 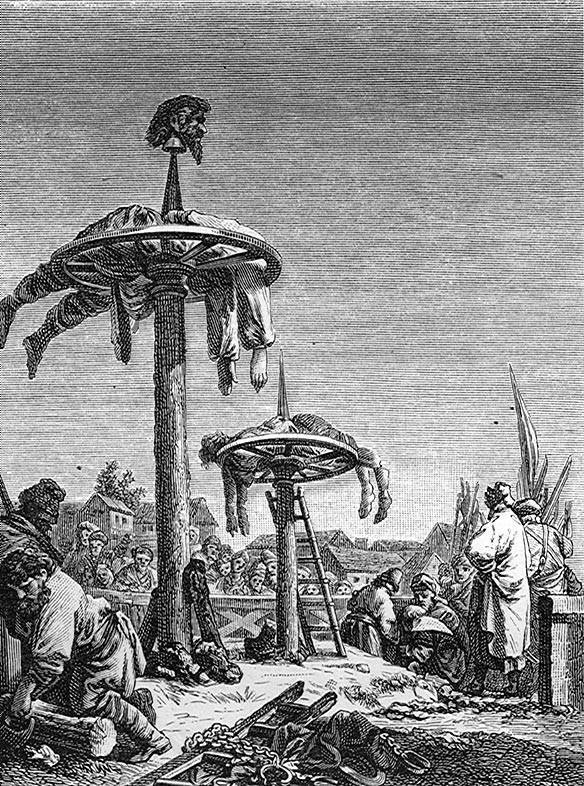 Commoners would be hung, a process that involved more mathematics than one might expect (finding the correct rope length to effectively break the human neck requires fairly complex calculations). 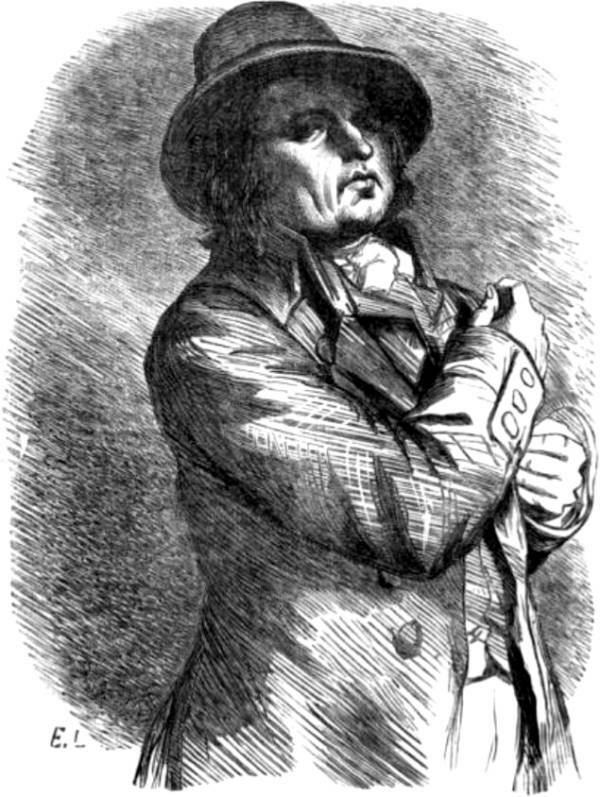 Highwaymen, other bandits, and those who had committed very egregious crimes against the socio-political order were “broken on the wheel”: stretched out over the spokes of a cartwheel and their limbs smashed with a sledgehammer before they were either killed with a blow to the chest (the coup de grace, or “cut of grace”) or left to die from exposure — in some cases even eaten alive by birds. 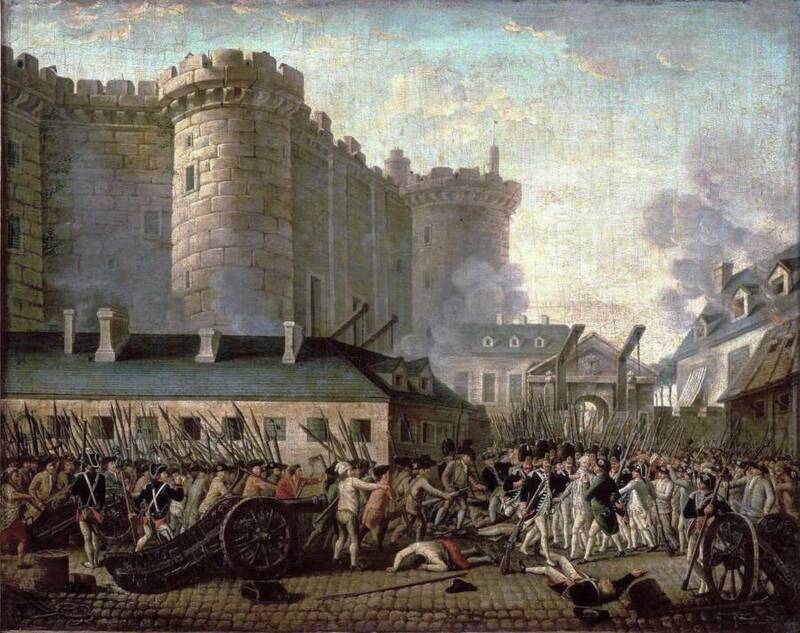 The storming of Paris’ Bastille prison at the outset of the French Revolution. 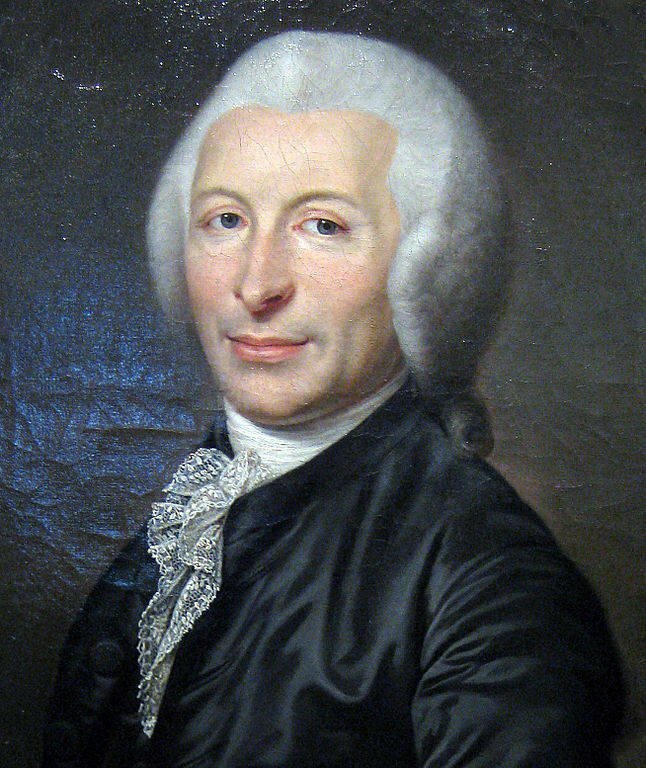 For months, Sanson, Guillotin, and the Royal Surgeon, Dr. Anton Louis, labored on the design and mechanics of the machine. Supposedly, Sanson’s friend and musical collaborator, the German harpsichord maker Tobias Schmidt, finalized the machine’s body and assembled the final version. Another apocryphal story has Dr. Louis, Guillotin, and Sanson meeting King Louis XVI (then under house arrest) to gain the monarch’s support. Mechanically-minded and fond of building his own locks, the king approved the device but recommended changing the shape of the blade from a flat, cleaver design to a sloping edge to better distribute the weight. 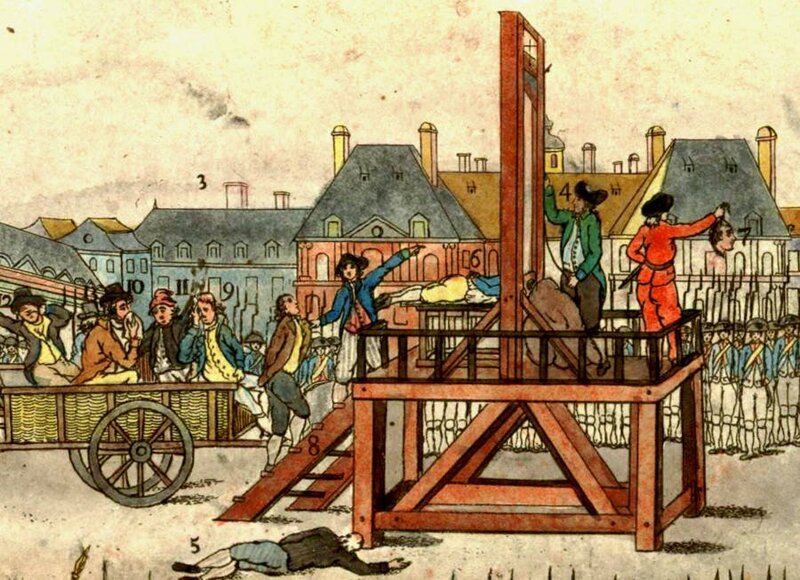 Finally, after practice runs with bales of hay, pigs, sheep, and human corpses, the “guillotine,” as the machine came to be known, was ready for its debut. Charles-Henri Sanson’s own souring sentiments about the device, however, were more personal. 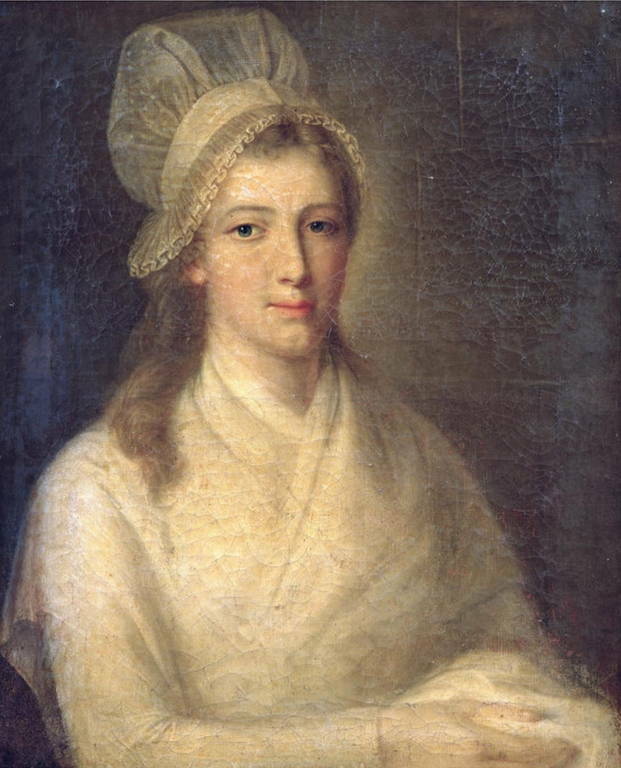 On Aug. 27, 1792, shortly after the collapse of the monarchy, his son, Gabriel, fell to his death from the scaffold while displaying a severed head. A few weeks later, plagued by guilt and disturbed by the recent September Massacres of more than 1,000 prisoners who radical revolutionaries feared might aid royalist forces in a counterrevolution, Sanson offered up his resignation to the new authorities. But he was refused. 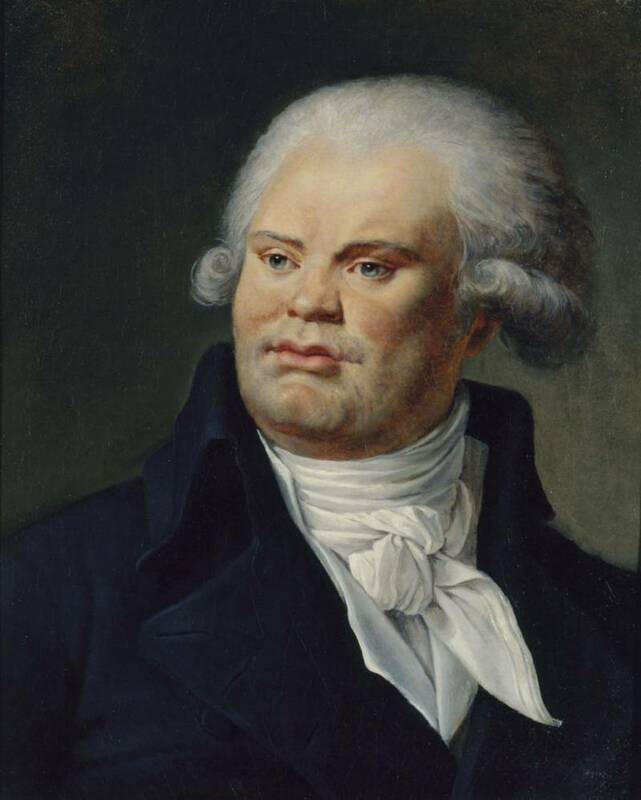 But it also meant that Charles-Henri Sanson was busier than he had ever been in his life. 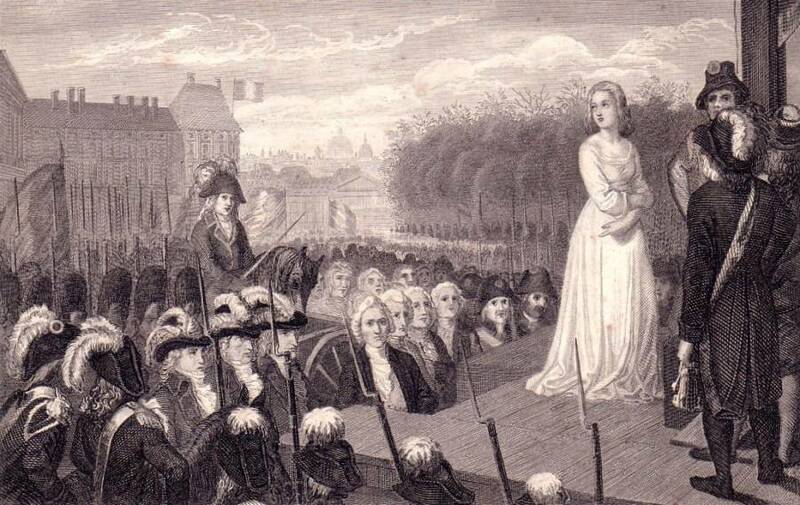 Following the execution of Marie-Antoinette, the dethroned queen of France, the number of executions per day grew from three or four to tens and dozens, in some cases with more than 60 beheadings in a day. 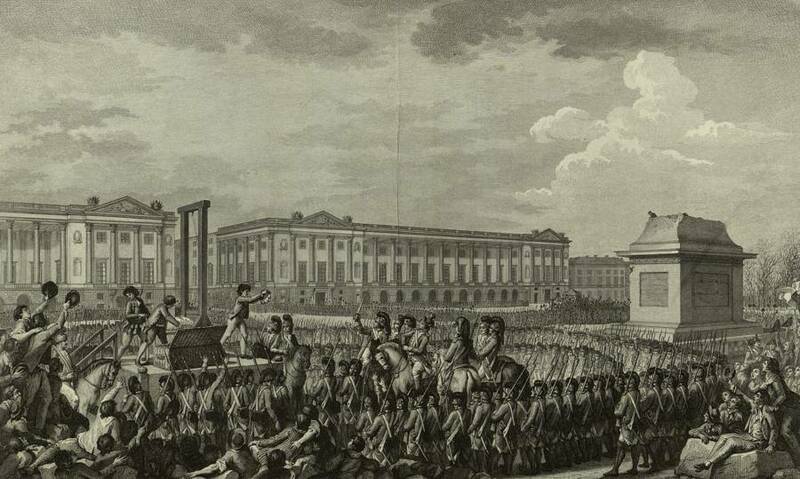 The stench of blood was so bad at the Place de la Concorde that soon farm animals refused to cross it. At the same time as the grim realities of the Terror became a facet of everyday life, the already infamous Charles-Henri Sanson suddenly found himself raised to a new status. While people had always stopped, stared, and whispered after him before, now he was affectionately greeted as “Charlot!” (“little Charles” or Charlie) on the street. 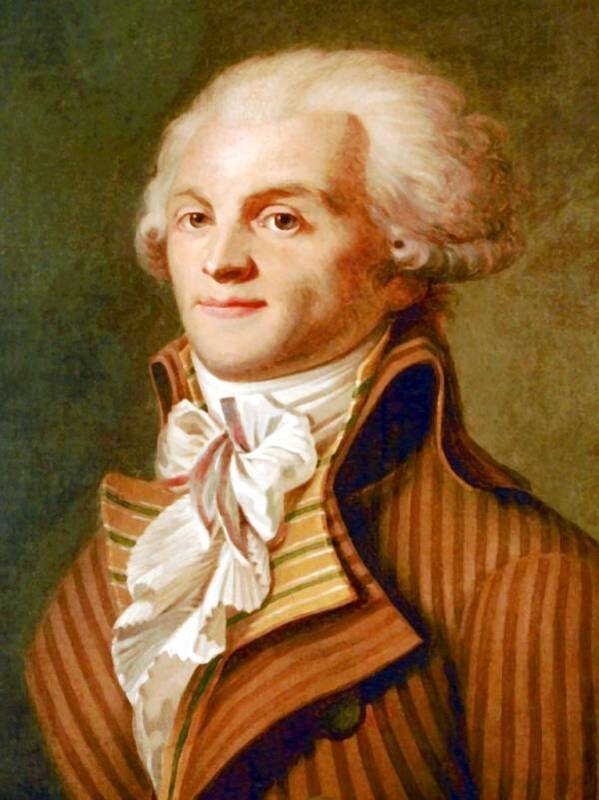 There was talk of officially titling him, “The Avenger of the People,” and his style of dress (green suits) became a trend among fashionable revolutionaries.